I've been having a lot of trouble finding a good way to keep my plush on display. 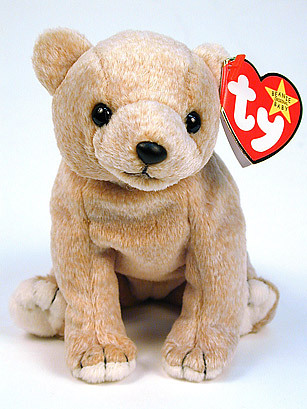 The issue's most likely being provoked by how I'm more of a "Gotta Plush 'em All" kind of collector rather than zoning in on specific species / characters like I see a lot of you guys do. Long story short / TL;DR, for people who endeavor to collect lots of different things, how do you prefer / find it best to try and categorize your belongings for display? Trying to find something that works and would like to know what others think is most effective for their own display endeavors. So yeah, if any of you guys have one or more of 'em for sale (and the permission to do so), or can point me in the direction of someone who does, I guess just lemme know? 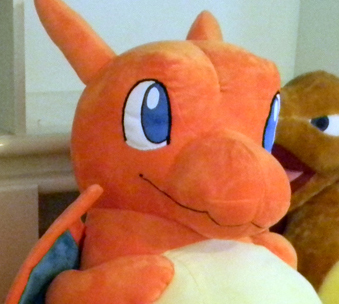 I am on the hunt for the Canvas plush of Bulbasaur & Squirtle. Does anybody have one to sell? I'd rather not pay the ridiculous prices on ebay, and would instead like to buy from a member here. Today I received some beautiful charms from killmeneko! They came beautifully wrapped and in perfect condition, but I only wanted 2 of the 11, so I have 9 charms for sale underneath the cut! 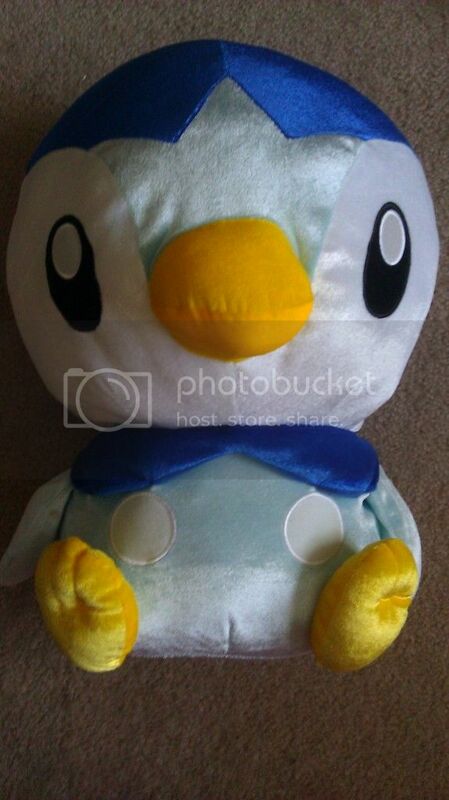 Today I have a super duper large shiny Banpresto Piplup plush up for offers! I found this lot in the Japanese Yahoo Auction, and I want to group auction on this lot. However, I cannot do it on my own since I still need experience. I am requesting help from the community, and hoping someone will co-host this auction for me. I am hoping that the other person can do the bidding, and I will post up the threads, and do any other tasks that would be necessary. I was granted sales permission by entirelycliched on 3/02/12. Kanto pins GA is in + collection update! Ebay's estimate had these arriving another week from now, but surprise! Kanto pins GA is in :D Click the cut for shipping payments, photos, and leftovers for sale! Wait, what's that!? A Vulpix collection update?? I can't remember the last time I had one of those! Excitement!! Aaand finally, tiny obligatory sales bump! Unsold stuff from my auctions have been added and prices dropped. Feel free to haggle! 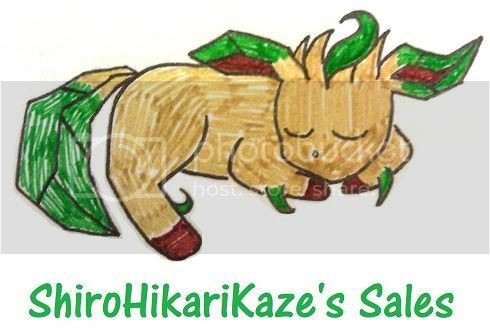 C: Also, does anyone have a Snivy line zukan for sale? Let me know! I'd like to pay $8-10 if that sounds alright. new movie pokemon goods from takara tomy! oh! i'm so excited i may wee!! BLACK AND WHITE KYUREM GOODS ARE ANNOUNCED BY TAKARA TOMY! Along with A TON OF OTHER POKEMON! All of the above are 6/23 release. ★The following Pokemon are also getting New Tomy MC Figures. I may have missed some info -- if so I bet AAPF will find it :) For now...YAY! Today I bring you an auction of two figures, that I recently got, but aren't my "style"
Also, can someone help me identify what kind of figures these are? This is my first post, so I'd like to introduce myself. You can call me Orange and I became really attached to pokemon when I was five playing pokemon red and blue and I've played every game since then. One of the things I was most proud of when I was a kid was that I won the slots a ZILLION times and eventually got myself a Porygon! The Porygon line has been my favorite to this day, and I have a few figures and things in a small collection, but my camera is dead now so I'll have to show pics of those little guys later. I was thinking about collecting those exclusively, but before I decide to do that, I have a SERIOUS SERIOUS question: How in the world do you decide what pokemon to collect?! I have lists and stuff below the cut. I'm not sure if I need one, but I'm gonna put one here just to be sure! and also questions and stuff? Hey guys! I just want to let everyone know that if you have bought from me and paid before 4/17, your items were shipped yesterday! Those thaat requested tracking, I have your numbers and will be able to give them out tonight. Also, please note that these rare and awesome plush offers/auction is ending TONIGHT at 11:59pm EST, a little over 5hours! Click the picture or HERE to go to the post! Hi everyone, i dont go on pkmncollectors alot so im not a expert on using it. In December for my christmas holiday im going away to New York with my family, i have never been there before and have always dreamed of going. I was wondering if anyone can help me where to look for Pokemon. I know that there is a Nintendo World Store there that sells Pokemon Merch but i dont really know what type of merch they have there. Please could someone tell me if you know and also where else i can buy Pokemon. I am i big fan of Oshawott, Cyndaquil, Glaceon, Togepi , Wobbuffet , Ditto & Snorlax . Hiya folks, I apologise if this kind of question is frowned upon, but I was curious and decided to ask. ^^ Can't hurt right? Yes I know, it's pretty much wanted by a lot of us. I guessed it gained the 'grail' status since I can't find one anywhere. 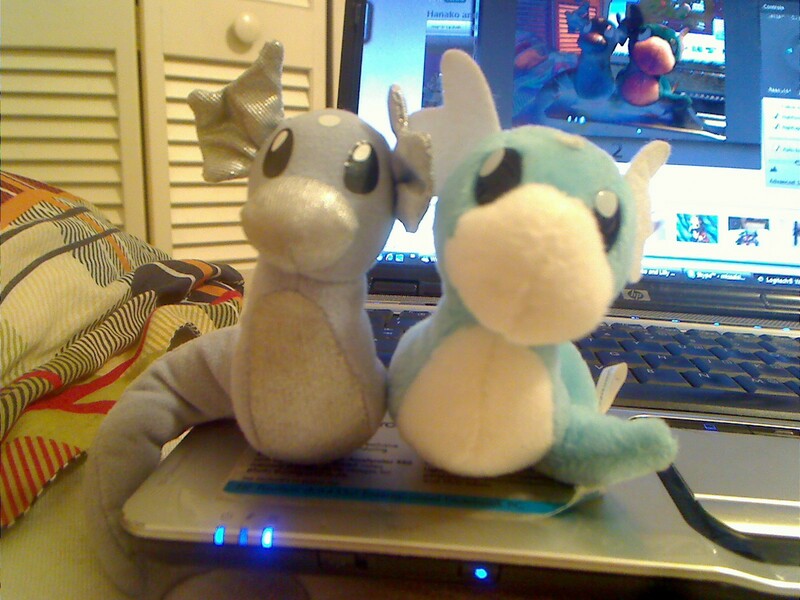 Since I'm low on funds at the moment, I would like to propose some plushies for trade. I might trade several plushies for Furret. It's been a long while since I posted here (I think my last post was in February?) so I thought I would post my wants list (don't have tons of money but I have some ;o)). My camera is currently MIA so I can't post pictures of my collection (it has grown A LOT). so here are my two wants lists. I should be able to trade soon; I just need one more positive feedback. EDIT: I have 10 positive feedbacks now so I can trade!!!! I think that's it from me today thank you for any help >^.^<. Hi, guys! I'm just full of Pokemon related questions lately, aren't I? 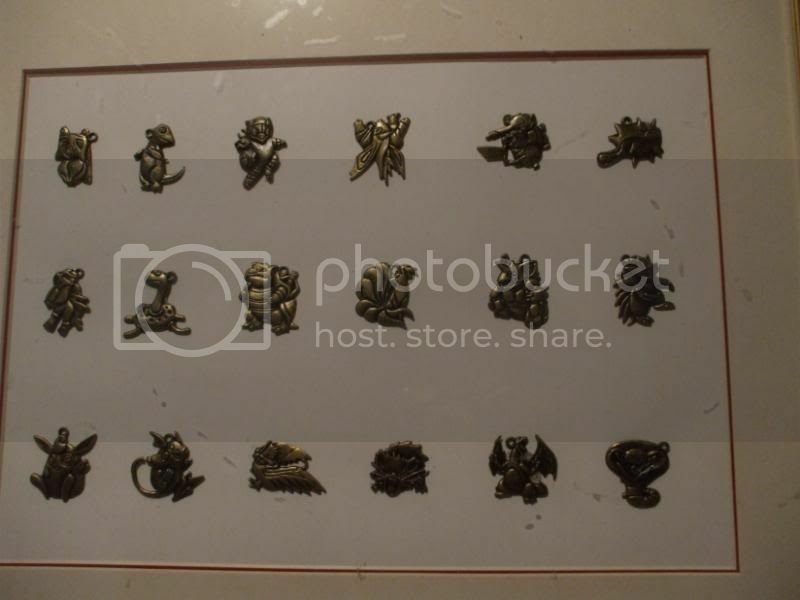 A few years ago, my mother went to an antique store and came back with these beautiful Pokemon charms. I was wondering if anyone knew anything about them. I have a feeling that they're custom, but I wanted your opinion. Payment needed for dx land gb! 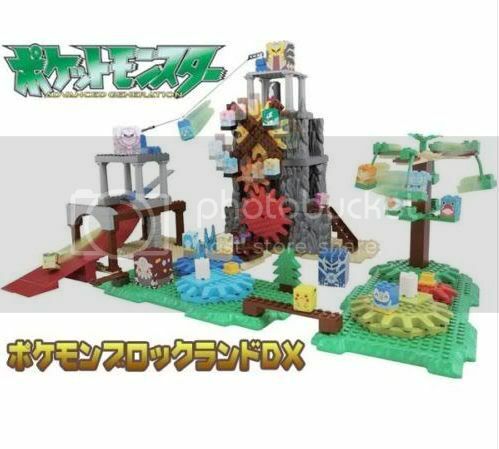 Although if anyone is interested in: The DX Land Playset, Pikachu, Piplup or Palkia blocks, they are still up for grabs! Just comment for claims! Hello everybody! It's been a while since I was last active in the Pokemon community. I was crazy involved for a solid year or so and then felt like I needed a break. Long story made short, I stopped enjoying Pokemon. I sold off pretty much everything I had strived to collect and figured I would never look back. Well, I did. XD I got my hands on my copy of Pokemon White ( which I still have yet to finish but it's coming along ) and was reminded just how much I enjoyed Pokemon and this community. Sorry to say that I don't have much of a collection left to share these days.. but maybe a story will do? I just wanted to ask if anyone could identify an item I found as real or bootie. It doesn't matter terribly much at this point since I already bought it but I'd like to know one way or the other. These slippers are from Hong Kong (o_o bootleg alert) But I'm not even sure if there are bootleg slippers.. haha? Well I love raikou so I bought them anyways. They were only 10$!! :3 I also got Pikachu slippers.